Over the past year or so, I’ve been going over the best knives from each brand. Some have been really easy to narrow down such as Spyderco and Kershaw. However, few brands have been harder to pin down than Ontario Knife Company. Ontario, sometimes known more simply as OKC, has a surprisingly robust and diverse selection of knives that all serve a purpose and do it well. There are some obvious choices — ahem, the RAT folders — but there are so many other serviceable knives that could have been on this list. These lists always carry some level of bias and subjectivity, but I feel like this list may contain more whimsy and randomness than others. If I’m alive and kicking and still have this job, I’ll redo this next year and may swap out some others, but this is the list for 2019. Let me know which ones I missed in the comments. Let’s start with the easiest addition to this list: the RAT Folders. I’m cheating a bit because this includes the RAT 1 and RAT 2 folders. They are essentially the same knife but in different sizes. The RAT folders are a perennial favorite among knife people because they are relatively cheap, reliable, and solid knives. The fact that they are now available in D2 at a low cost means they may be the best budget knife on the market. Along with D2, you can get an assisted version, an AUS 8 version, and some with different blade finishes and handle colors. The next no-brainer is the Ontario Black Bird SK-5. The series is designed by Paul Scheiter. 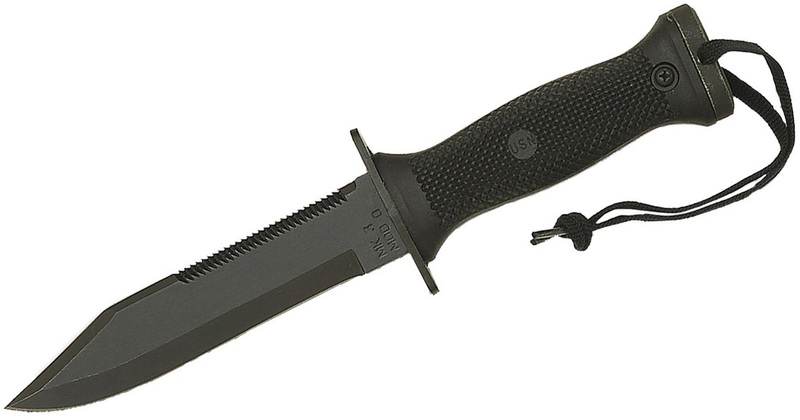 The survival knife was named the best of the best by Field and Stream Magazine in 2011. It’s a pretty simple bushcrafting knife with a 5-inch 154CM stainless steel blade and G-10 handle scales. 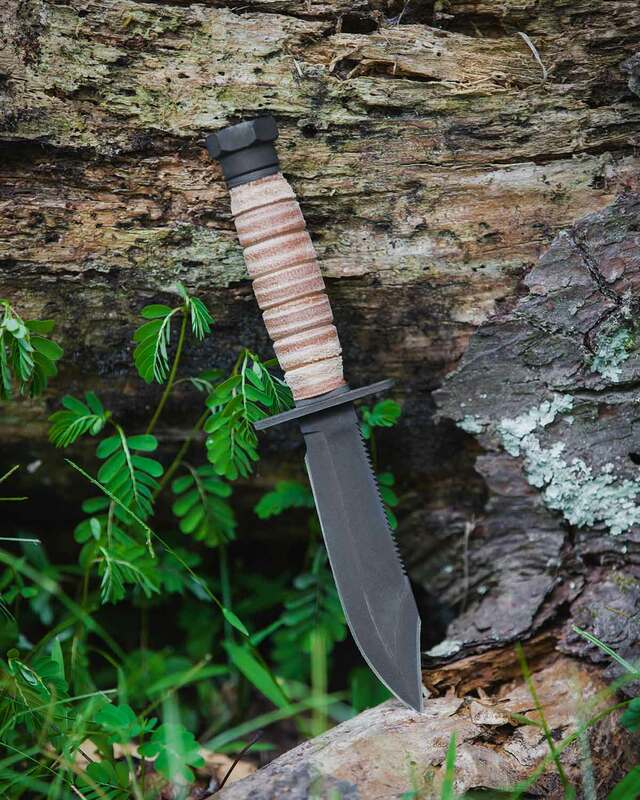 Made in the United States, the Black Bird is often featured on lists of best survival knives. The OKC-3S Bayonet is the culmination of improvements upon existing knives used in the military — basically the best aspects of the KA-BAR and M-7 Bayonet. Marines only started using the design in the early 2000s, but it’s proven itself as a great all-around knife. It has a thick 1095 carbon steel blade, durable Dynaflex handle, and guard. It can be fixed to rifles, but many have used this as an outdoor knife without attaching it to any rifles. The other bayonets Ontario still makes — such as the M-7 and M-9 — could easily be on this list as well, but we thought we should save some space for other knives. The fact that the company is one of the last American bayonet makers and continues making such iconic bayonets is pretty awesome. We all know the love for the RAT series of folders from Ontario, but they overshadow a highly underrated budget knife from Ontario — the Utilitac II. 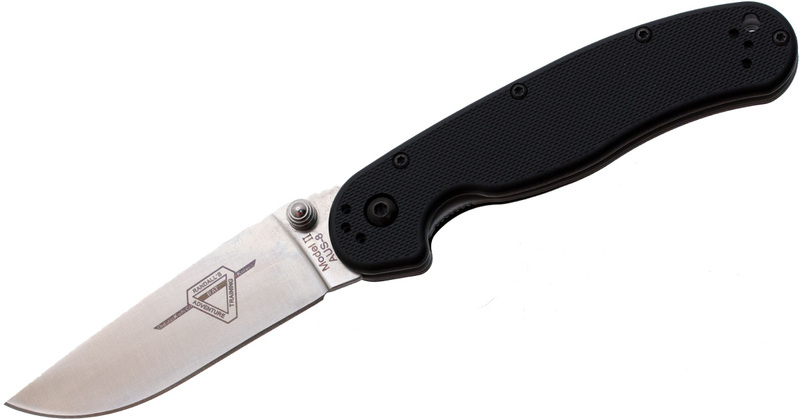 Designed by Joe Pardue, the son of Mel Pardue of Griptilian fame, the folder is a somewhat bizarre knife that just works. The 3.5-inch AUS8A steel blade comes in different profiles, including tanto, and a textured Zytel handle. This is one of those knives that you can’t really understand until you actually hold it, and that’s why it probably goes unnoticed by so many people. The Spec Plus series from Ontario is a line of fixed blade knives aimed at military personnel and first responders. These are essentially the tactical knives from the company and often come in on the cheaper side. 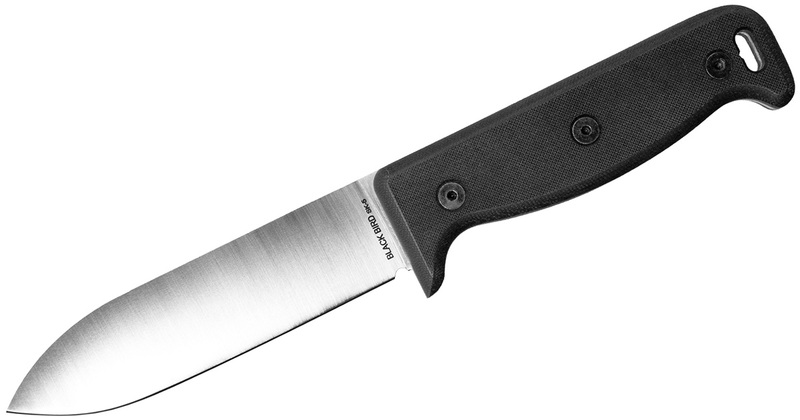 All of the knives in the series have their own personality and function, but the SP-10 Raider Bowie is probably the best. As far as I know, they’re still made but they seem to be out of stock right now in most places. The Bowie has a massive 9.8-inch black-coated 1095 carbon steel blade with a Kraton handle. The handle is ergonomic and there are several safeguards to keep the knife from flying out of your hand when you’re whacking away at brush. Reviewers often talk up the durability and versatility of the knife. Competitors include those in the KA-BAR Becker series. 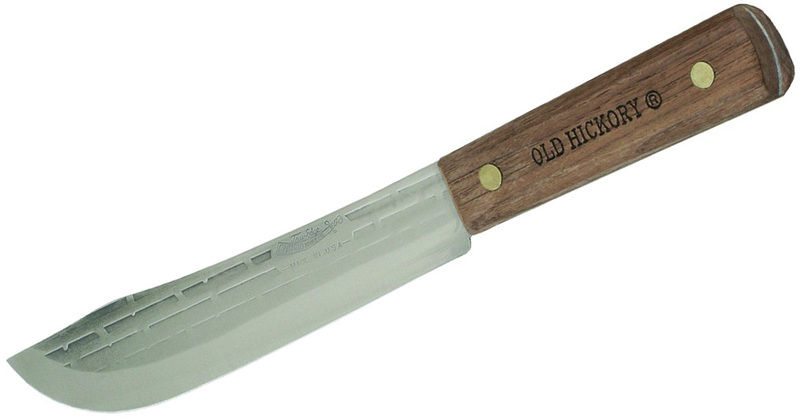 Ontario Knife Company makes a sub brand of kitchen cutlery called Old Hickory. These knives were first introduced in 1924 and feature carbon steel blades and hardwood handles. What makes these knives so great? They are dirt cheap, made in America, have a ton of history, and are tried-and-true. The reason I specifically chose the Butcher knife is because the 7-inch version is frequently used as a testing ground for mods and customization. You can turn the under $15 knife into a great outdoor fixed blade. The Old Hickory Sticker deserves a mention too as a good throwing knife. The Mark 3 Dive Knife is currently used as a military issue for Navy. Although it’s called a dive knife, this is more of a fixed blade for use around water but probably wouldn’t be great for constant use under the water. It has a 6-inch stainless steel blade with an oxide finish and sawback. In between the steel guard and pommel is a molded plastic handle with a ton of texture. 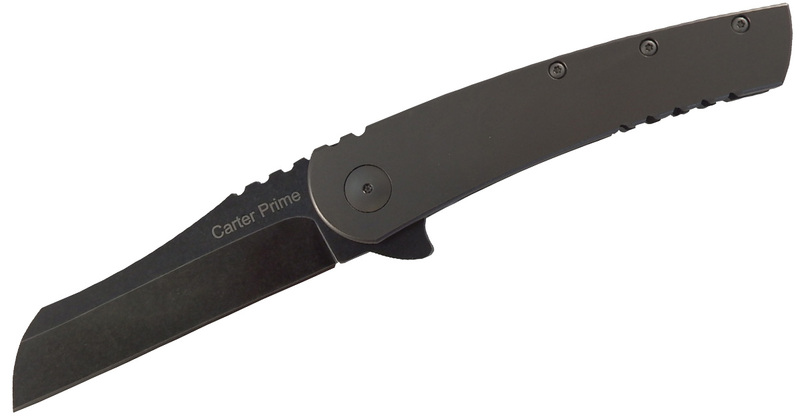 The Carter Prime is a strange knife. 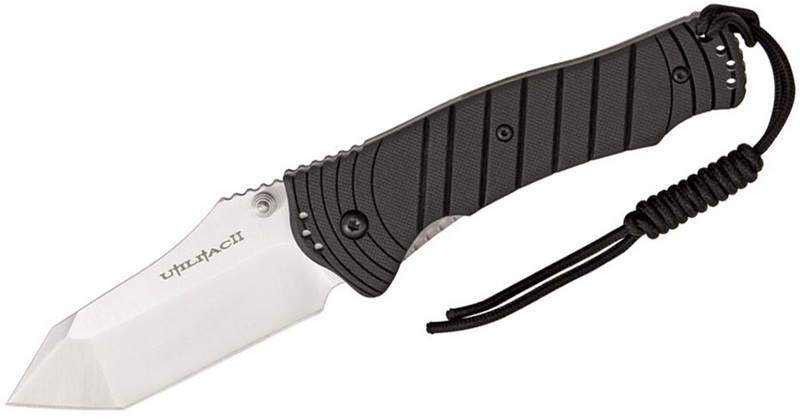 It has a sheepsfoot blade, titanium handles, and a D2 blade at a relatively cheap price. The design comes from Robert Carter, son of OKC’s Joe Pardue and grandson of Mel Pardue. He gets a lot right in this knife. It’s a heavy-duty knife that can feel like a tank, but it also works well as an EDC. The materials and action are great; however, I have heard some complaints about the ergonomics. Still, this knife deserves a mention on this list. 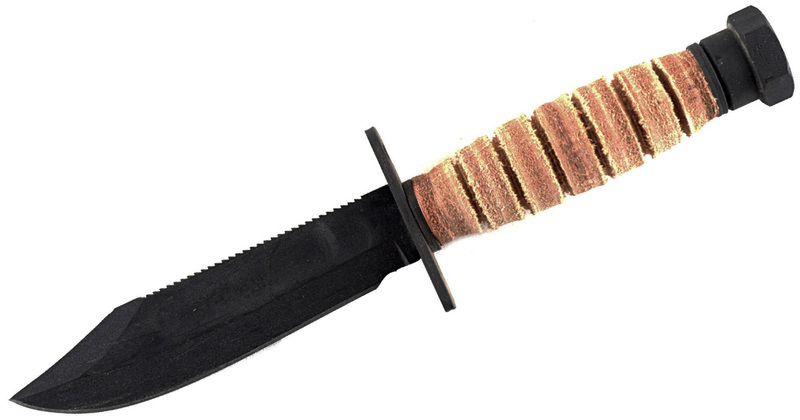 We’ve already had a few knives on this list designed for different branches of the military. Ontario set out to make an American-made knife meant for survival following an air crash. The result was the Ontario 499 Survival Knife — sometimes known as the Air Force Survival Knife. This isn’t an all-around survival knife, but it is a relatively inexpensive option that works well in the right situations. It has a 5-inch 1095 carbon steel blade and stacked leather handle. Many people keep one of these in their bugout bags. I’m a bit disappointed I couldn’t fit a knife from the Ranger series on here, but I had to end this list with another from the RAT series. These knives were designed in conjunction with Randall Adventure & Training before they created ESEE Knives. While ESEE has become an overall better option for similarly designed knives, the RAT fixed blade series remains an excellent option from Ontario. The RTAK-II is akin to the Junglas but a lot cheaper. It’s a big chopper with a 10.3-inch green powder coated 5160 carbon steel blade. The handle is Micarta and the sheath is nylon. I probably could have picked any of the RAT fixed blades because they’re all good options depending on the task. Hmmm no rat 5 or 7 fixed blades…..badass knives in my opinion…Msgt USAF Ret. Security Forces and Ret Okl DOC 20 year. I had limited space on the list, but I mentioned in the RTAK-II one that any of the RAT fixed blades could be on the list.